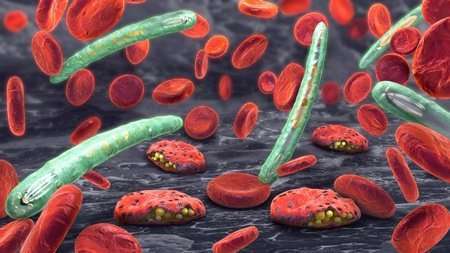 Malaria, a bloodborne disease caused by single cell parasites, remains a major global public health issue with millions of cases, and nearly half a million deaths every year. The new discovery in the parasite's biology is revealed across a set of three studies led by the University of Glasgow's Wellcome Centre for Molecular Parasitology. The researchers demonstrate, for the first time, the movement of blood stage parasite forms and their migration across the vascular barrier to other parts of the body. Further, the work demonstrates that localisation in the bone marrow and spleen allows the parasite not only to build a reservoir of infection but also to gain additional protection from certain antimalarial drugs including the current frontline drug artemisinin.